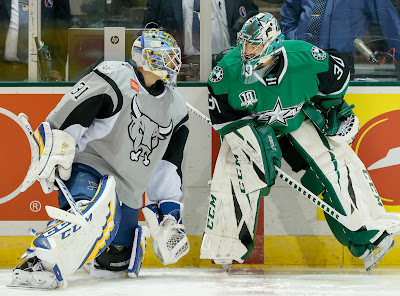 The San Antonio Rampage continued their hot streak last night against Texas and have an opportunity to pull out of their last place doldrums with this weekend's series against a depleted Texas squad. 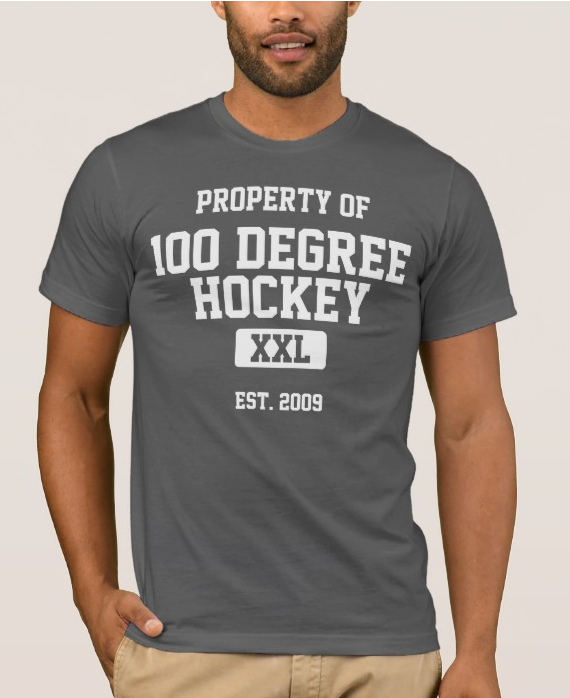 The adaptation to circumstances such as the above under less than ideal conditions is indeed the story of the AHL. With last night's defense in Dallas looking in many ways at times the way Texas's defense should have looked last night in terms of personnel, the Stars are going to have to find a way to get it done. Dallas has already used almost a team-record number of defensemen this season, 12, with Taylor Fedun making his Dallas debut last night (and scoring his first in victory green to boot). Depending on how long Ben Bishop is out, this is put up or shut up time for Philippe Desrosiers. He's been bouncing between the ECHL and AHL for several years now and has never caught on with the Texas Stars. If he expects another contract stateside at the end of the season, this may be a do-or-die two week sequence with the two 3-in-3s back-to-back. San Antonio is doing what desperate teams must, surging at a good time against a vulnerable opponent. On home ice, the Stars need to stop them in their tracks and set up the rubber game on Sunday to be a forgone conclusion of Texas victory. The Central Division this year appears to be a murder's row of solid teams. You don't make the playoffs in November, but you can surely make it harder to get there with divisional losses.